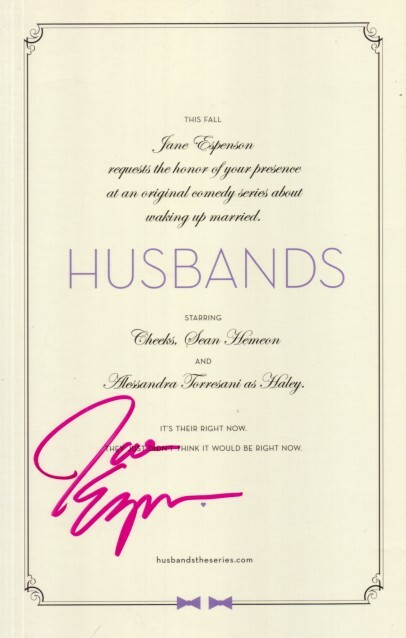 5 1/2 by 8 1/2 inch promo card for the web series Husbands autographed in pink by writer Jane Espenson (Buffy the Vampire Slayer, Once Upon a Time, Torchwood). Obtained at 2011 Comic-Con signing. With certificate of authenticity from AutographsForSale.com. ONLY ONE AVAILABLE FOR SALE.